I know it's not quite fall yet, but this week the weather has been cooler and there has been a crispness in the air that has me ready to start changing things up with my wardrobe. 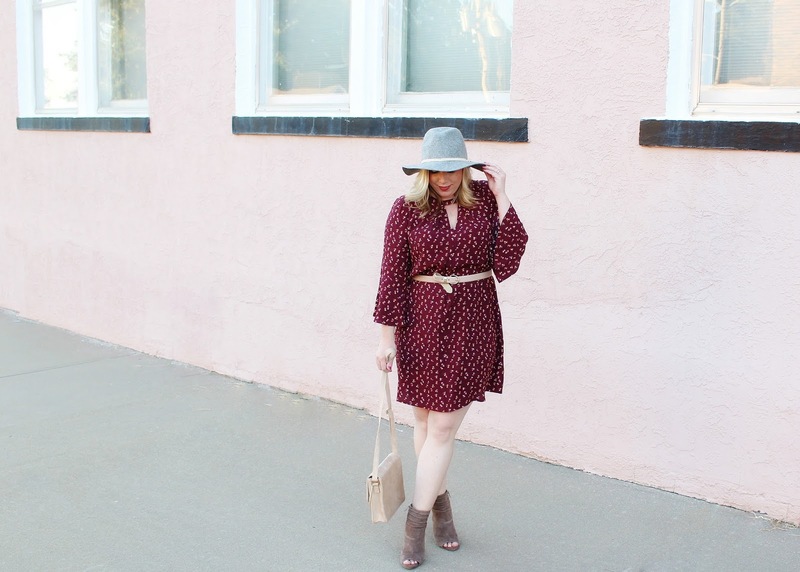 I've started to pull out some of my fall favorites and I've even started the dreaded chore of changing over my closet from summer to fall! 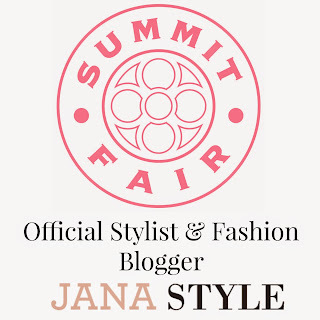 This week while I was out shopping the stores at Summit Fair I noticed a ton of new merchandise and I've been thinking about what new items I'll be adding this season that will compliment my fall favorites from last season. 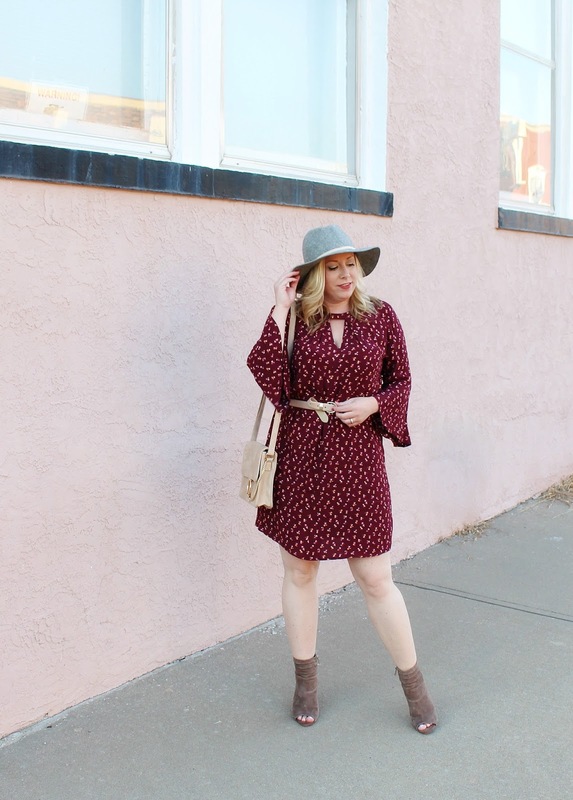 I spotted this bell sleeve dress in the most comfortable, breathable fabric ever! 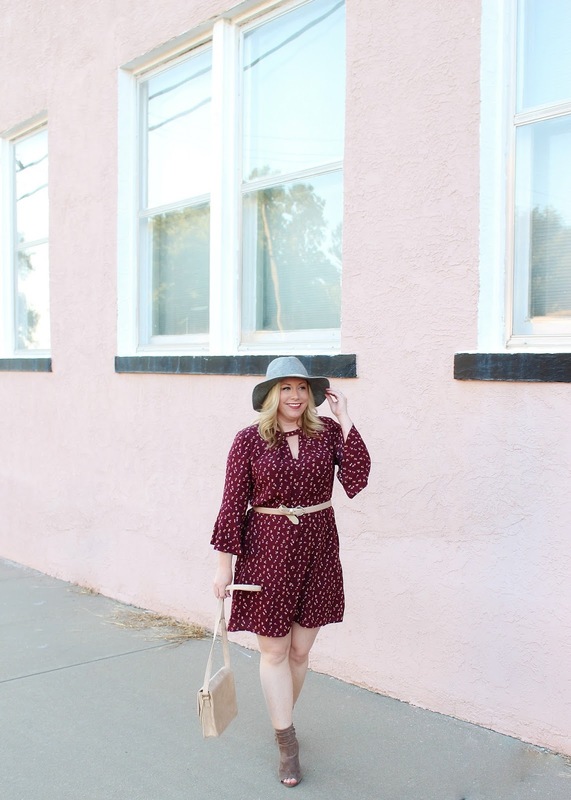 The print is perfect for wearing belted like I have here or layering it up with some of my favorite jackets, sweaters, and vests later. In the fall accessories seam to be more important than ever when it comes to styling. 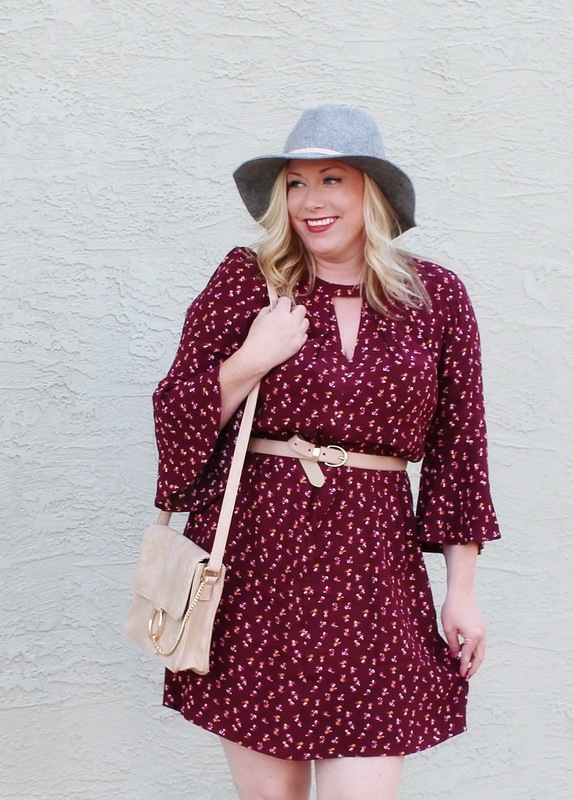 I love belts, hats, and, handbags more than ever in the cooler fall months!. This article is awesome! love the dress! That color looks so good on you! Such a pretty dress. Hey Krisstin! Thanks girl, I appreciate that and I'm glad you like it! This is such a gorgeous dress! I love this color on you! Hi Emily! Thanks so much! The color caught my eye too! girl!!! 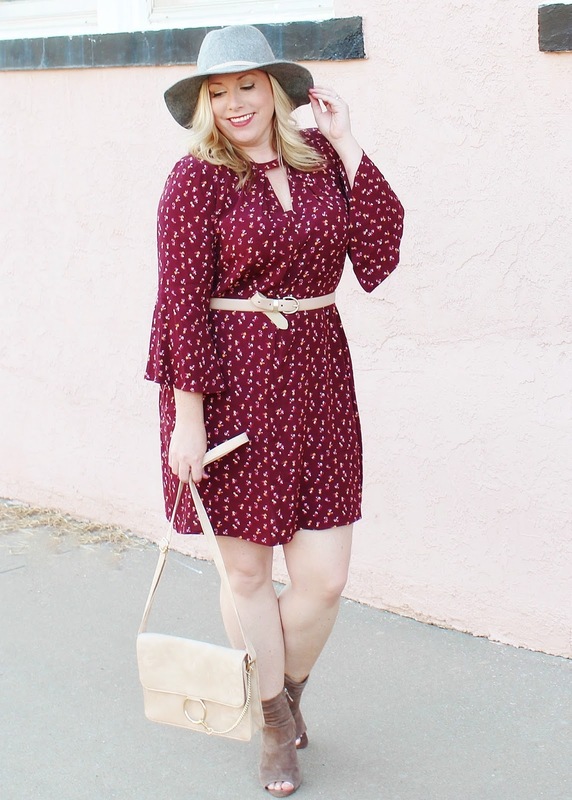 this is the prettiest burgundy dress!! I'm obsessed with this color for fall!! Hey Shannon! 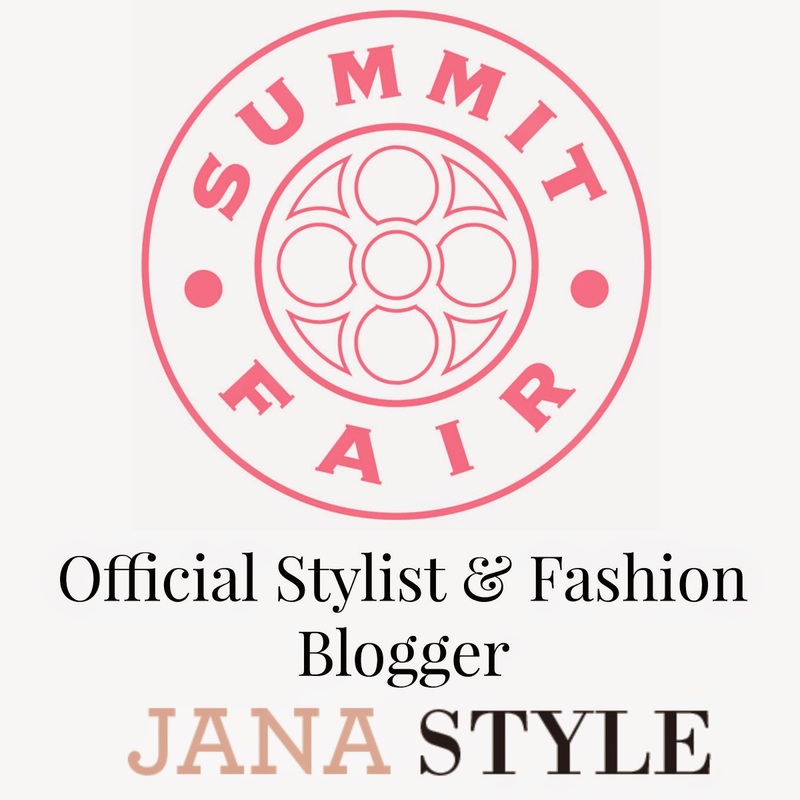 Thank you sooo much!!! Have an awesome day girl! that color is just perfect on you girly! That cranberry dress is gorgeous. he color is perfect for fall and I so love that belt around the waist! Such a great post! I am obsessed with that dress and hat! Very beautiful dress on you! I love the prints and the style. You look great!